In 2016 I read a whopping total of 0 books. In 2015, guess how many books I read? A big fat 0. In fact, the last book I can remember reading was about a decade ago. The average CEO reads 60+ books a year. If so many successful people were reading that many books, they must be doing something right. So I downloaded the Audible app from Amazon and purchased my first audiobook in January 2017. That first year I finished over 70 audiobooks. And I have been obsessed ever since. I’ve learned negotiation skills from a CIA hostage negotiator. Leadership strategies from US Navy Seals. Content creation from one of YouTube’s most famous stars. Stock trading from Warren Buffet. I’ve learned from the struggles and behind the scenes stories of some of the world’s greatest leaders who have built today’s greatest companies. Success starts from the inside out. If you train your mind the results will follow. I’ve been able to transform my life through reading. I’ve seen incredible improvements in all aspects from relationships, to finances, to fitness. And best of all I’ve inspired those I love to do the same. Here are 7 of the best books I’ve read to help get you excited about success. 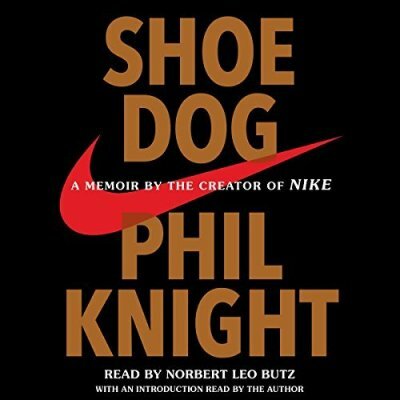 In Shoe Dog, you learn how Phil Knight went from shoe boxes in the living room of his apartment to creating the massive global athletic brand, Nike. And he spares no details. Shoe Dog is the incredible journey of how Phil Knight turned a setback from a sports injury that cut his athletic career short, into a shoe business by harnessing his passion and competitive spirit for sports. It’s a modern-day David and Goliath story about a recent college grad competing with established incumbents like Adidas and Puma, and trying to make it with no money and no experience – only grit. This book just may ignite your inner fire and make you realize what you’re truly capable of. “The best book I read last year was Shoe Dog, by Nike’s Phil Knight. Phil is a very wise, intelligent and competitive fellow who is also a gifted storyteller”. “Nike founder Phil Knight’s book, Shoe Dog, is the ultimate story of entrepreneurship – and the grit, passion, and perseverance required to succeed”. If you’re only going to read one book this year, read Shoe Dog. Learn how to trade stocks from the Oracle himself, Warren Buffett. 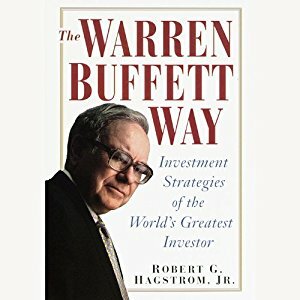 Before reading The Warren Buffett Way, I had never traded a stock before. After reading the book I made over one million dollars in stock profits my first year of trading. This book is an inside biography of how the most brilliant investor thinks about investing. It details Buffett’s personal journey to success and illustrates his guiding principles for making both investment decisions and life decisions. Following good, basic values and practicing honest business dealings can translate into massive profits. Regardless of your current financial situation, whether you’re just starting out or you’re a millionaire, you should be investing in the stock market. This book will help you establish strong, time-tested principles that when followed with fanatical discipline will enable you to do very well in stock trading. Success leaves a trail. And there’s not a better trail to follow for investment advice than Warren Buffett’s. If you are obsessed with success, as in you wake up and go to sleep every night desiring nothing more than to have everything you want in life, then The 10X Rule by Grant Cardone is for you. This book is rocket fuel for your ambition. Cardone is one of the most gifted orators on the topic of success and he gives straight-up, practical advice you can follow to get 10X better results in every aspect of your life. He tells his inspiring story of how he went from a car salesman with a drug habit who was always in and out of rehab, to owning hundreds of millions of dollars in real estate and his own private jet. Cardone gets inside your head and helps you overcome any mental obstacles standing in your way from achieving massive success. He challenges you to think bigger and accomplish more. 10X more. You can feel the level of obsession Cardone has for achieving success through this book and it will seep into your blood too. Be prepared for little sleep, long hours, no weekends and lots of coffee if you’re going to read this book. A top favorite on almost everyone’s book list. How to Win Friends and Influence People covers one of life’s most important skills that is hardly ever talked about: relationship-building. If you believe in the saying “it’s not what you know it’s who you know” this book will help you connect with the right people and get what you need doing, done. Dale Carnegie is a people whisperer who masterfully discusses communication strategies that help you forge new and stronger relationships while also achieving your desired objectives too. You can use the advice to woo over a new client, develop a stronger relationship with your spouse, or make new friends and have a stronger social life. Each chapter begins with a lesson in communication and relationship building and is followed by examples throughout history and Carnegie’s own personal life to support the claims. All the examples are relatable and can be applied to your own life almost immediately. Warren Buffett holds Carnegie’s teachings in such high regard that he hangs the little award certificate he got from completing Carnegie’s public speaking course in his office – instead of his degree from the University of Nebraska. Reading this book will transform your relationships for the better. It will make you a more likable person who gets more done working with people. For those entrepreneurs that don’t just want to create good companies but want to create great companies that people will remember you should read this book. Jim Collins spends years researching the greatest publicly traded companies that outperform their competitors by 10X in the stock market. He analyzes what makes certain companies successful even during times of challenge. He examines the details that make them perform exceptionally well, in comparison to their competitors, who, facing the same challenges, only experience mediocre performance, or end up failing. He dives deep into the management, culture and thinking of those great companies and the leaders behind them to identify the common principles that separate 10xers from the rest of the pack. And he gives you those findings in the form of an easy-to-follow roadmap throughout the book. Good to Great offers superb insight into what it takes to become a great leader and creating a great company. The ideas are not only well supported with extensive research, they are also presented in an exciting, engaging story format. No matter where you are in your entrepreneurial journey, whether you’re creating your first business or want to take your existing business to the next level, Collins cracks the code on how to go from being good to being great. Many of us get stuck in the thinking “I’m just not good enough” or “I don’t have the skills necessary to get this done.” Grit by Angela Duckworth helps to rewire your brain by scientifically proving hard work is more important than talent. This book puts you in the right growth-oriented mindset you need to enable you to achieve massive results. Duckworth provides relatable stories of how iconic people today possessed little natural talent but through unparallelled effort became legends in their fields. Duckworth’s own personal story is the embodiment of her teachings. She grew up in an immigrant family and was repeatedly told by her dad she was “no genius”. Despite the discouragement, she persevered. By working hard, staying focused on her goal, and not giving up she was able to break through and succeed as a best-selling author and world-renowned motivational speaker. Most of us, at least subconsciously, believe we have certain limits and place a glass ceiling on our success. This book will help you push against those self-perceived limitations and allow you to hit new levels you never knew you were capable of achieving. What if you could completely transform your life in 5 seconds? Sounds too good to be true, right? Little did I know, this book would become one of my most powerful tools by helping me stick to my goals and overcome my biggest obstacle – my self-sabotaging brain. The 5-Second Rule is a simple cognitive hack that gets you moving in the right direction towards smashing your goals. It involves counting down out loud or in your head from 5-4-3-2-1 followed by taking some immediate action. Although it sounds simple, it’s quite genius. Think of a goal you have and some actions that you could take right now to get you closer to achieving it. Maybe it’s a fitness goal and you need to go for a run. Maybe it’s a financial goal and you need to spend less money. Or maybe it’s a relationship goal and you’re second-guessing contacting the person you’ve been thinking about. In the long-run, our conscious brain is excellent at planning and setting goals. But in the short-run, our subconscious brain is a pleasure-seeking organ that wants to avoid pain and stops us from taking the necessary actions to achieve our goals. Your mind starts making excuses and you focus on how you’re too tired to go for a run, you really need those new shoes so now’s not a good time to save money, or you’re too worried if that person you care about will not respond. The 5-4-3-2-1 countdown makes you focus on the countdown and not your excuses. You can’t focus on both things at once so it makes you focus on the counting instead. The immediate action at the end of the countdown, such as forcing yourself to put on your running shoes or get out your phone to text the person on your mind, changes your physiology so now your mind is focused on continuing that forward momentum rather than derailing you. This book reminds you that the true treasure in your life is buried inside of you, and this book gives you a simple but exceptional tool you can use to uncover it. These 7 books will get you excited about success and help you achieve massive results. They not only give you a roadmap to excel to new levels you may not have thought possible, they also put you in the right action-oriented mindset to overcome the obstacles that will present themselves along the way. Thank you for sharing so freely. I learned this valuable reality about how my positive perspective really did change my life to be a successful investor. We went thru incredible gains and excruciating losses. We have gained back more than we ever lost. I need to read these books to be refreshed and pick up the pieces from lost credit,lost home,lost health. I still have my mind and ability to be a great business woman,at a pace that is up to me. I would love to go to Maldives with my boyfriend! Hello Dhar & Laura! ?❤️ I live in Glendale and although my dream vacation would be Greece ?? I would have to say a reasonable destination would be Alaska. My husband and I never went on a honeymoon due to work and health related issues. He felt bad about it and told me that wen though we hadn’t gone on a honeymoon that we would go on small trips in the future and call them manymoon trips lol. We have been together 14 years and married 4 of those years. The last four have been challenging in both health and Finances and we have yet to go on a honeymoon or start our plans for the manymoon trips. With the $1000 we would be able to kickstart our manymoom trips (won’t be enough for a dream trip, but it’s more than enough for a small getaway). Also, I would favorite trip you guys went to would be Mykonos ??. Thank you to the both of you for this great giveaway. ??? I would LOVE to take my boyfriend on our dream trip to Canada. He talks about going to Canada literally every single day. My boyfriend is one of the best people on this planet. I don’t know where i would be without him. Since we were sophomores in high school I lived with him because my family was having a lot of money issues and had to move into a one bedroom hotel with my mom, step dad, brother and sister. so there was obviously no room for me. Throughout all I was going through at the time with my family’s money problems, my boyfriend was MY ROCK. I couldn’t possibly ask for someone more loving and supportive. even though we were only 15 him and his family took me in. ever since he has given me everything I could ever want. We are now 21 and are juniors in college! We are definitely broke college students. We were already saving literally every penny to try to go to canada the second week of march, but my car broke down and had to use what we saved to fix it. He supports me so much with everything I do, emotionally and financially. I would love to be able to give something to him for once. who knows where i would be without him. If i could just do ONE thing for him, I would be so grateful. I love yalls relationship, it is definitely one to look up too. y’all are literally the ultimate goals. Even if I don’t win i’m grateful for the opportunity!! Love y’all!! my favorite tip from Dhar is ENGAGE with your followers! y’all do so much to engage with your supporters and trust me everyone appreciates it!! So many great books! Several I’ve not read, so so add them to my list!